Check tool heads for rust and wear, giving them a good cleaning. Clean tools prevent the spread of plant diseases and seeds from unwanted plants like weeds. It’s also a good idea to keep your tools in good repair because a clean, sharp instrument is more efficient. If it’s the wooden handles that are in disrepair, use linseed oil on the wood and check for splits, cracks and general wear. During the winter, the wooden frames of raised garden beds can be damaged by the strain of snow and rain. Before planting, replace or repair damaged frames. 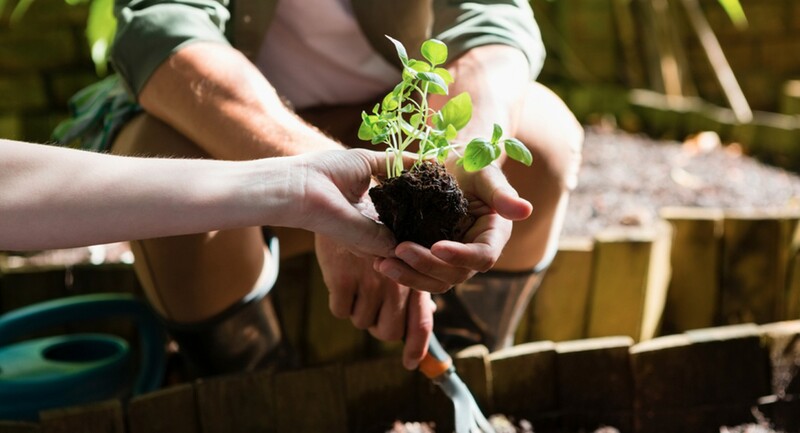 Use this time to move plants around and better organize your flower bed. Plot where you want items to go, keeping in mind shade patterns and the height of the plants you’ll grow this year. You can also trade or share plants with neighbors. This is also the time to clean out the beds. After pulling all the weeds, place a layer of landscape fabric or cardboard before adding mulch. Layer about four inches of mulch to discourage any new weed growth. Also, plant your garden tightly with perennials, shrubs and annuals to help crowd out weeds. Prune dead branches from shrubs, trees and other perennial foliage once new growth has begun. For spring-blooming plants like forsythia and rhododendrons, prune as soon as the flowering is complete. Wait to thin and shape hedges after the first full spring growth spurt. Plant your warm-weather vegetable seeds and other annuals indoors a few weeks before the expected last frost of the season. Once you’ve made the transition outside, you can cover new plants with a layer of garden fabric protect your seedlings from an unexpected late frost. Place stakes for plants like tomatoes and peonies sooner rather than later. It’s much easier for the plants to grow into the stakes than trying to fit stakes into a bunch of spring growth.